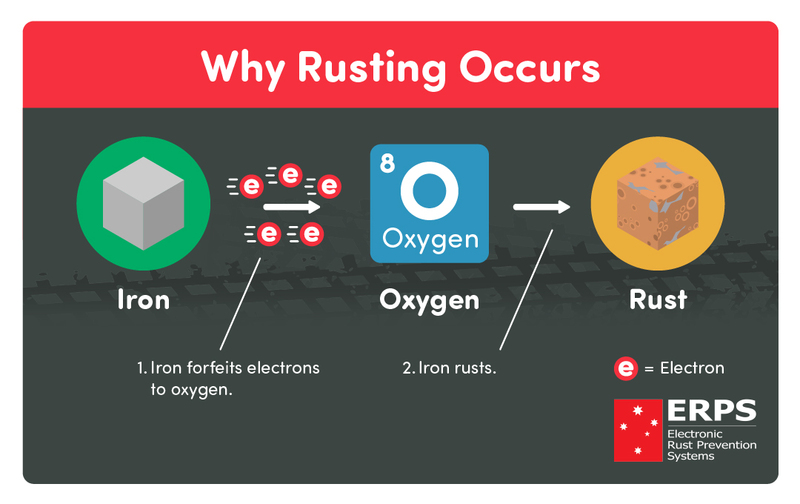 You are here: Home / Information / What actually is rust? Rust definition: Rusting refers to the form of corrosion found in Iron and its alloys. 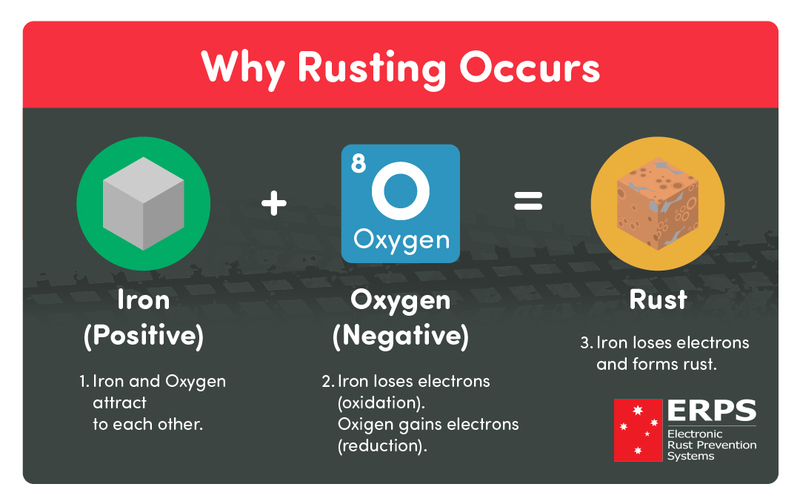 Rust, otherwise known as ‘ferric oxide’ or ‘Iron (III) oxide’, is typically a red compound and is the most widely recognised form of corrosion. Corrosion refers to the process of materials such as metals, polymers or ceramics gradually degrading and returning to a more chemically stable state. This is a naturally occurring process that occurs either through a chemical or electrochemical reaction (any process either caused or accompanied by the passage of an electric current). Iron is produced by processing ores found in the earth’s surface. Blast furnaces use large amounts of energy to process the ore into Iron. This processed form can be used as a solitary material, or combined with other substances (such as carbon) to form what are called ‘alloys’ – An alloy refers to a substance composed of two or more metals. 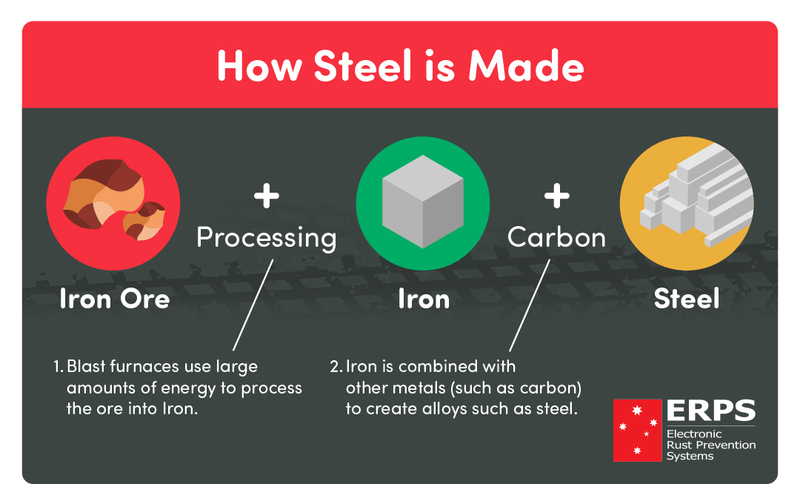 Steel (typically 98% Iron) is the most common alloy of Iron, which has enhanced strength, resistance to corrosion, tolerance and other benefits. This reaction is referred to as a redox reaction (reduction + oxidation) where the oxidation states of atoms are changed simultaneously. Reduction: The gain of electrons or decrease in the oxidation state. During the rusting process, Iron attracts to Oxygen and seek to combine. When this occurs, the Iron forfeits electrons and the oxygen gains them. The presence of an electrolyte (a solution that conducts electricity) further accelerates the equation by increasing the rate at which electrons can be transferred. Electrolytes could include things like: moisture, sea-spray and rain. 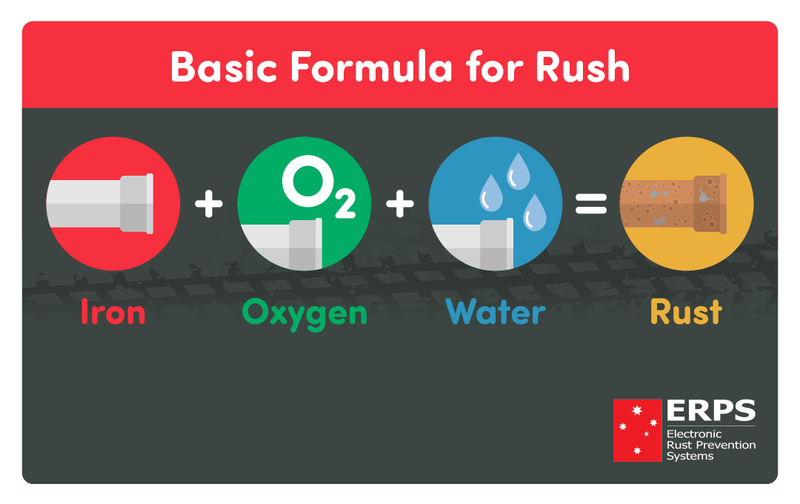 Other catalysts that can accelerate this reaction include: temperature, chemical salts, exposure to acid (or acid rain) or increased atmospheric gaseous levels. Currently Cathodic protection, such as galvanic (sacrificial anode) and impressed current systems are used for applications such as pipelines, pillars, ship and boat hulls, oil platforms and other ‘grounded’ applications. For ‘free air’ structures, such as automobiles, the only established method of protection is capacitive coupling technology. 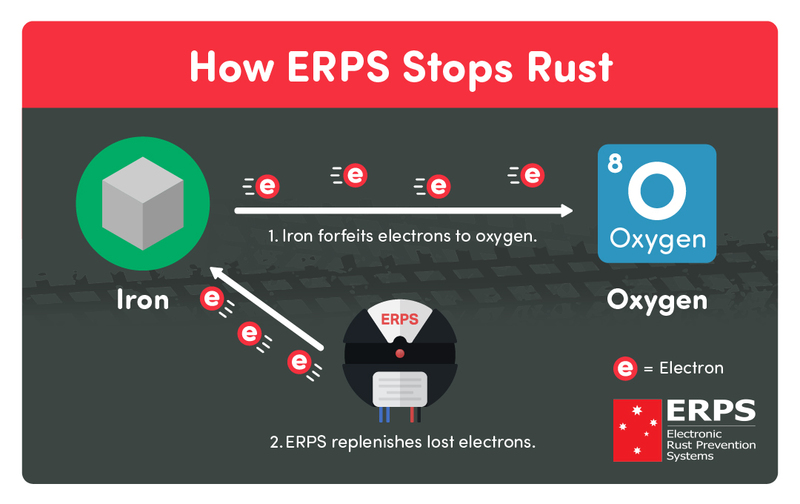 All of these technologies function in a similar way – by supplying an excess of electrons to the protected metal (Iron/Steel), the oxidation process can be reduced and thus, the lifetime of the structure prolonged.